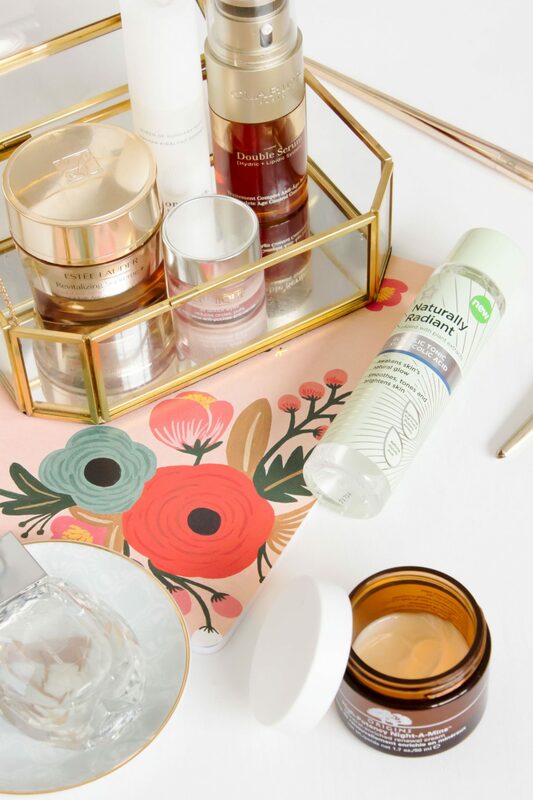 It has been over a year since I shared an up to date skincare routine, therefore I thought it was about time that I updated you on what I am currently loving and using on a regular basis, because it has changed quite a bit since my last update. In my last skincare routine post I actually decided to split it into two, am and pm. 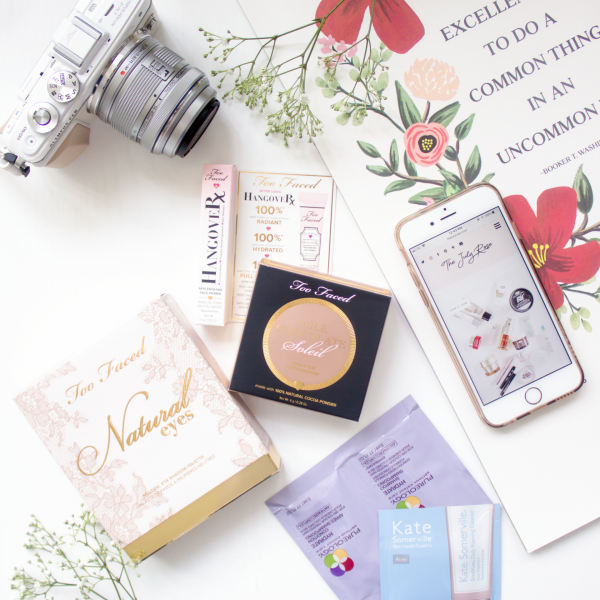 Whilst that worked for me at the time I did find that it became a bit too much; I had too many products cluttering up my bedside table. I also, through trying new things found products which worked for me for both morning and evening use, therefore I have gradually developed one routine which I now use morning and night with very little variation in between. It is a fairly basic routine and focuses solely on products which I use after I have cleansed. Having never really been an advocate of facial mists, I have to say that I am enjoying using the Omorovicza Queen of Hungary Mist* again. I was using this for a little while and then stopped in order to try something else. Whilst having a bit of a sort out last month I stumbled across it again and immediately put it back into my routine, therefore this is the most recent product to join the team as it were. It is quite heavily scented but not in an offensive way, that soon disappears leaving you with a tingly refreshing feeling on the skin. To me products like these are a bit of a princess product, I don’t really notice much of a difference when using it but I still like it because it feels nice on my skin, it’s as simple as that. For my serum (I am never without a serum) I am still using the Clarins Double Serum* which I am in love with, so much so that it will no doubt make an appearance in my favourites of 2018. Watch this space. I have found that it has made a notable difference to the appearance of my skin. It is visually brighter, clearer and hydrated. I use this both of a morning and an evening and I cannot recommend it enough, it suits my skin type perfectly which for reference is combination/oily. 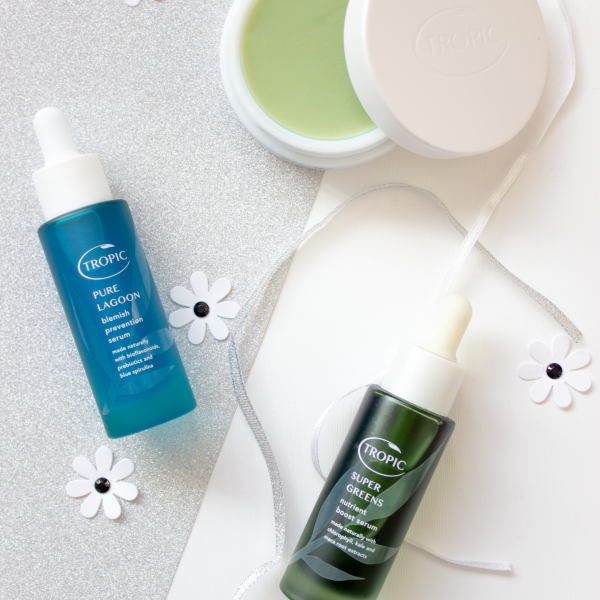 Aside from my long term favourite eye cream from Kiehl’s I have being using the Clinique All About Eyes which I have to say I quite liked. It didn’t quite match up to my favourite eye cream therefore I highly doubt that I would repurchase this as I didn’t find it to be as hydrating, however, if you haven’t tried it then I would recommend checking it out. It is easy to apply, gentle on the skin and doesn’t irritate my eyes at all, therefore if you just need something to use and don’t require a really hydrating product then you could do no wrong in trying this out. In order to exfoliate my skin I more often than not reach for a chemical exfoliant, although I am still partial to a physical exfoliator every now and then. At the moment I am using the Superdrug Natural Radiant Glycolic Tonic* which I think is incredible for the price, currently £2.95 on offer but only £5.99 full price. This has been great in keeping my skin clear and tackling any unwanted blemishes that arise during that time of the month. On a slight side note, the whole Natural Radiant range from Superdrug is pretty amazing, I recently picked up two of their night creams as back ups as I think it is a brilliant product. When it comes to moisturiser, I use two different ones for the morning and evening. 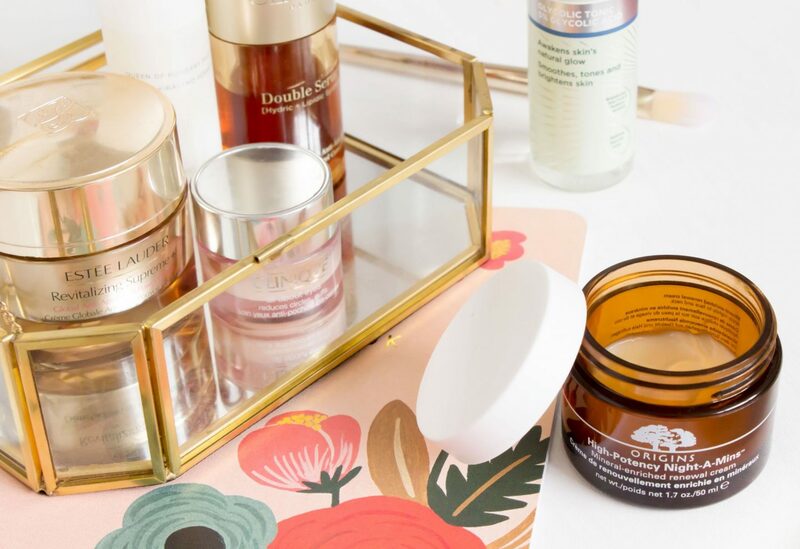 For day time use I opt for the Estee Lauder Revitalising Supreme + Global Anti-aging Cell Power Creme* which I have had for a little while so I am currently trying to reach the end pronto. In all honesty I love it, it is such a nice moisturiser which feels luxurious, hydrating and nourishing for my skin. However, it is so far out of my budget that it makes me want to cry. What I will say is that I have used this for quite a while, therefore it really does last a very long time which makes the price of it somewhat easier to swallow. Of an evening I use my old faithful which is the Origins High Potency Night-A-Mins which I have used on and off now since I have been blogging. Again this is gorgeous product, one which I recommend to most people if they are looking for a night cream. I don’t find it to be heavy on my skin as some night creams can be a bit too intense, therefore this is a nice option if you are looking for something new to try for yourself. You can find a full review of this product here. What products are you currently using in your skincare routine?